The Nobe car launches globally from O on Vimeo. 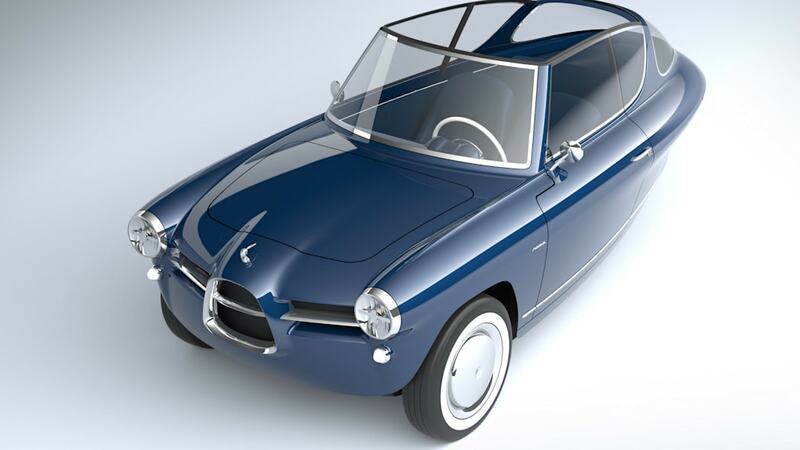 The world of electric cars just got a lot more adorable thanks to the Nobe 100, a three-wheeled EV built in Estonia and with throwback looks inspired by the Fiat 500, the Saab 96 and the bubble-canopied Messerschmitt KR175. Capable of speeds up to 68 miles per hour and with a driving range of 136 miles per charge, the Nobe is an all-wheel-drive trike. Yes, power is sent to the two front wheels as well as the one in the back. According to Nobe's founder and CEO, Roman Muljar, one of the primary goals with the Nobe 100 was "to create something so effortlessly stylish that you want to lick it." We're not sure how many people are willing to lick an EV, though we appreciate Muljar's passion for his project! "We wanted to fuse together personality and conscience, not just inventing a more sustainable way to get around cities, but also making it a more exciting and charismatic experience than a petrol vehicle," said Muljar. "The Nobe 100 is a feat of engineering and design thinking. We haven't designed a new car, we've designed a new way to build and experience a car. We've reinvented the car from the wheels up." Grandiose comments are par for the course with startup car companies — Tesla, we're looking at you, kid — but credit Nobe for coming up with an EV that blends throwback design and a trick electric powertrain featuring not only the three-wheel drive but a removable battery pack tucked under the dashboard that outwardly looks like a leather suitcase. Why you'd want to have a battery pack double as a faux vintage suitcase, we're not not entirely sure. 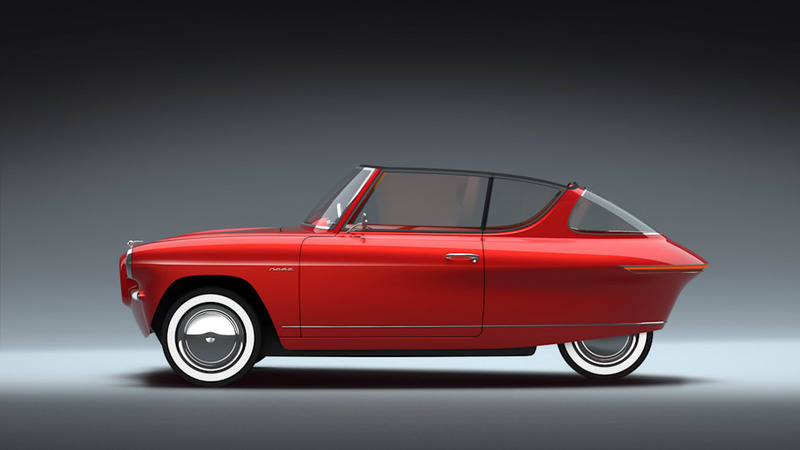 But like so much of the Nobe 100, function follows form, and the result is a visual treat for classic car fans. 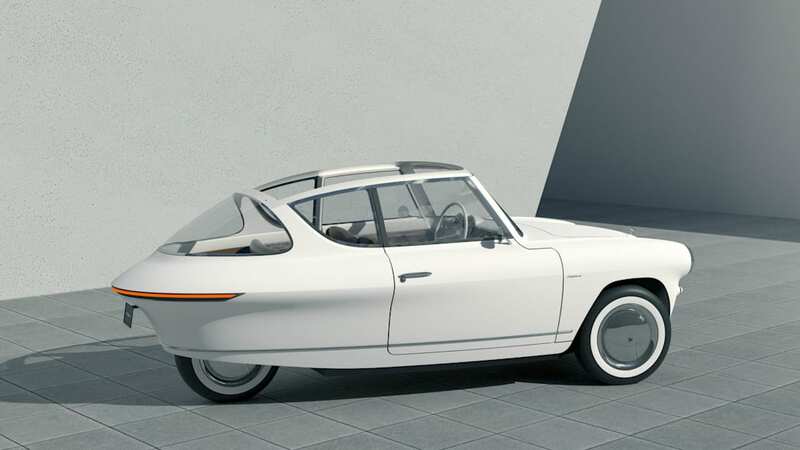 Nobe's three-wheeler has been talked about for months, but we now know more about its technical specs such as speed and range, not to mention its potential for U.S. sales and its price. Up front, the grille bears a strong resemblance to vintage Alfa Romeos. The tapering tail ends in a sleek single-bar taillamp, while narrow whitewall tires (remember those?) add to the overall vintage look and feel. 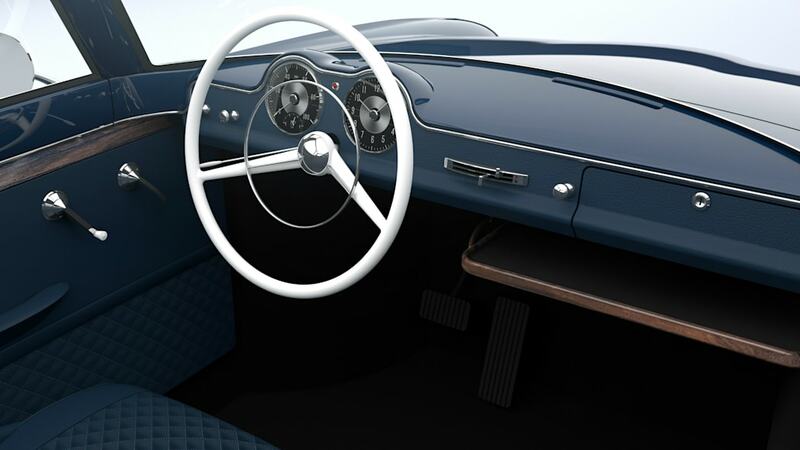 The same theme carries into the minimalist cabin, where the driver is greeted by a large thin-rimmed steering wheel that looks like it could have been taken from a 1950s-era Mercedes 300SL. Inside, there is room for two passengers in the front and one on the rear seat. Facing the driver are two main gauges, including a speedometer that reads up to 100 kilometers per hour (about 60 mph) with a smaller dial integrated into it, showing amps and remaining electric range. Next to this is a large clock and, well, that's pretty much it for dials and switches. There are two sliding adjustments in the center of the dash for temperature and fan speed. When it comes to getting outside air into the cabin, you'll have to use old-fashioned arm muscle. That's right, the Nobe's windows are manually raised or lowered using delicate chrome and white plastic-tipped winders on each door. At the moment, there doesn't appear to be any stereo, infotainment system or, from the look of things, even a designated place to put your Venti-sized Starbucks coffee. While it's a modern EV at heart, in many ways the Nobe 100 seems to be the automotive equivalent of sticking with a trusty flip-phone — or considering this car has window winders, maybe even a public payphone. The tray under the dashboard does look like it would be handy for holding loose change. That's not to say the Nobe doesn't have some high-tech tricks. The press release states the car is "fully connected" and "designed as autonomous-ready." 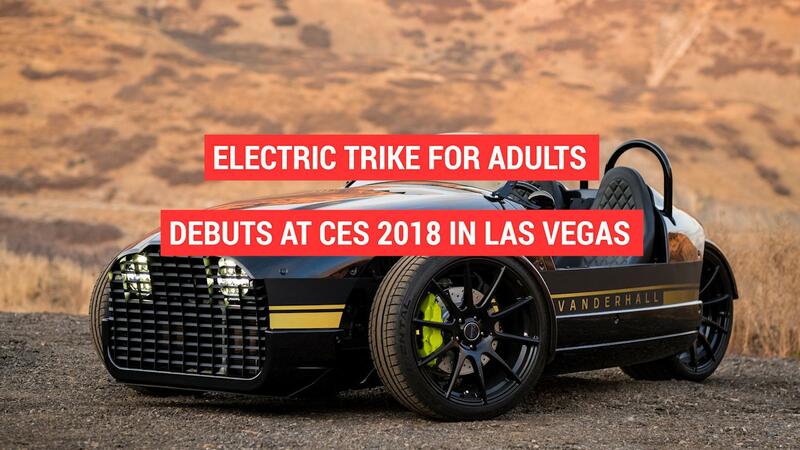 The body is made out of lightweight composites, and the car's battery can be recharged in only 2 hours, presumably using a quick-charging system. And while it looks like a classic car, the Nobe 100 is apparently pretty quick, with a quoted 0-60 mph time of only 5.9 seconds. 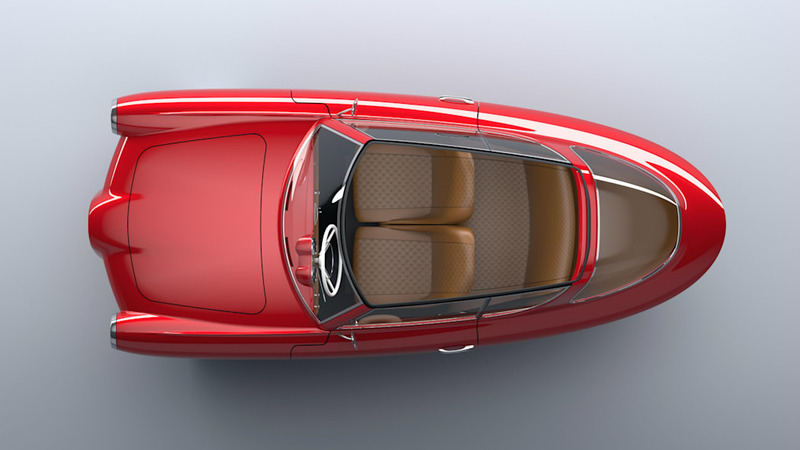 At the moment, Nobe is looking to get a sales foothold in Europe before coming to the U.S. market, where as a three-wheeler it wouldn't be subject to the kind of rigorous safety regulations that more conventional cars face. 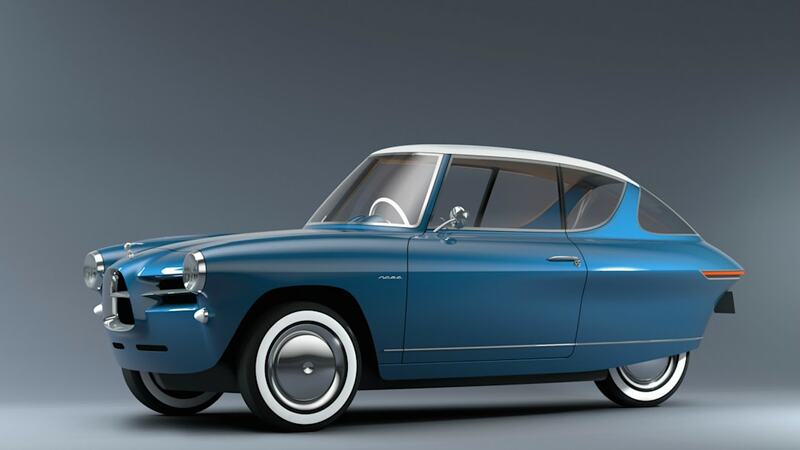 A Go Fund Me page has been created, and it invites investors to take part "in making automotive history by making the first light, neo-retro EV." A Nobe spokesperson told Autoblog that the price equivalent in the U.S. for a Nobe 100 would be approximately $34,000. Sales here are scheduled to begin by 2020. And yes, before you even ask, we've most definitely requested a test drive of this cuteness-overload EV.